Hey all, I am one of the many mentors at Dismantle. An important part of my role is to support and empower young people enrolled in BikeRescue. 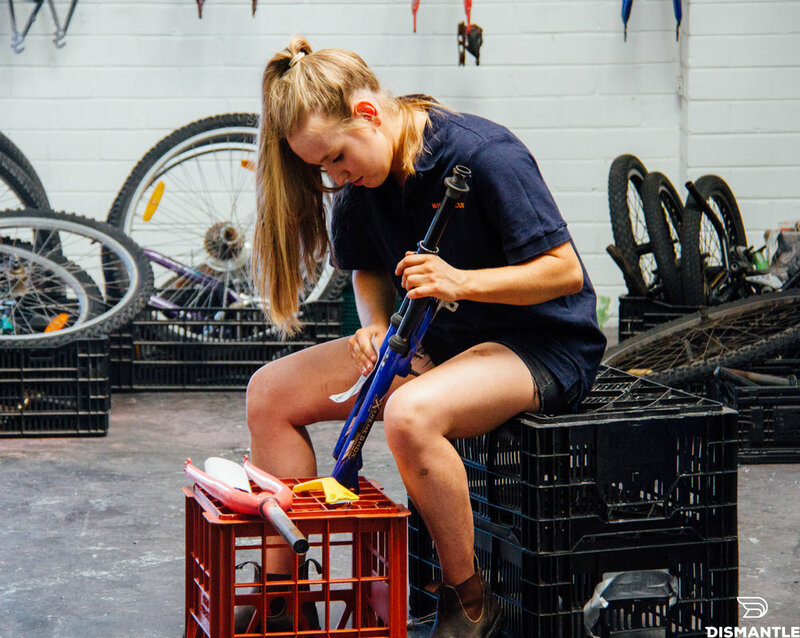 I do this by working with them to dismantle and rebuild bicycles, while mentoring, guiding and helping them up to make healthy decisions afterwards. Working with young people is such a good time and its what I’m most passionate about. When I'm not on program, I'm usually camping at some amazing location around WA for a week or so. Whether it involves hiking up a mountain, kayaking through WA’s best rivers, finding the best surf break or sitting by a good fire, I’m always ready for a good chat and a good adventure. Working at Dismantle has us working alongside young people and sparking conversation in a non-traditional way. I love to challenge the girls, especially when it comes to using the strength they didn’t know they had, and showing them that getting your hands dirty can be both safe and fun.